NanoIntegris has begun selling a complementary thin film transistor package. The materials package combines a new dielectric ink (xdi-dcs) developed at the XRCC with NanoIntegris’ high purity, single-walled carbon nanotube ink (IsoSol-S100), to improve the overall performance of printed high-mobility p-type transistors. Printing transistors is the next frontier in the rapidly expanding wearable and flexible electronics industry. Printable semiconducting and dielectric materials enable flexible tags, sensors, displays and other switching elements. Compatibility between semiconducting and dielectric materials is critical for reliable processing and device performance. 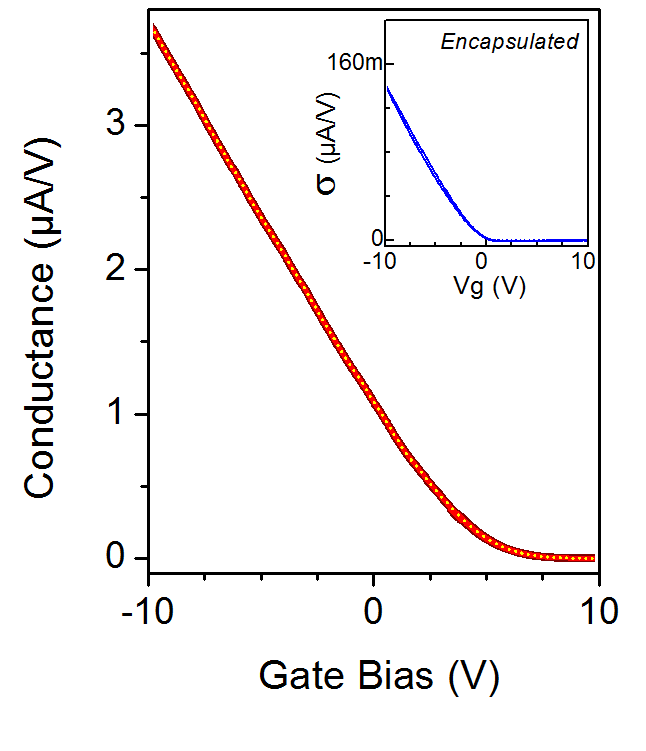 One of the challenges that has limited the implementation of single-walled carbon nanotube based thin film transistors is that they exhibit considerable hysteresis with a non-zero threshold voltage when exposed/operated in air ambient. An upcoming article in the journal Applied Physics Letters discloses how this new materials package addresses performance issues when the Xerox ink is used as a dielectric, and when further used as an encapsulant. Key to addressing issues such as hysteresis is the hydrophobic surface of the dielectric layer, which can eliminate water and mitigate charge trapping. Both materials have low viscosity, enabling spin coating, inkjet printing or aerosol deposition, and can be cured at or below 150 °C, making them compatible with the most popular low temperature substrate polyethylene terephthalate (PET). Further details: J. Lefebvre et al. 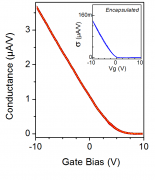 Hysteresis free carbon nanotube thin film transistors comprising hydrophobic dielectrics. Appl. Phys. Lett. 107, 243301 (2015). We currently offer the dielectric as a solvent-based ink. The minimum order quantity is 5 g.
For more information contact us or call +1-450-434-6266.